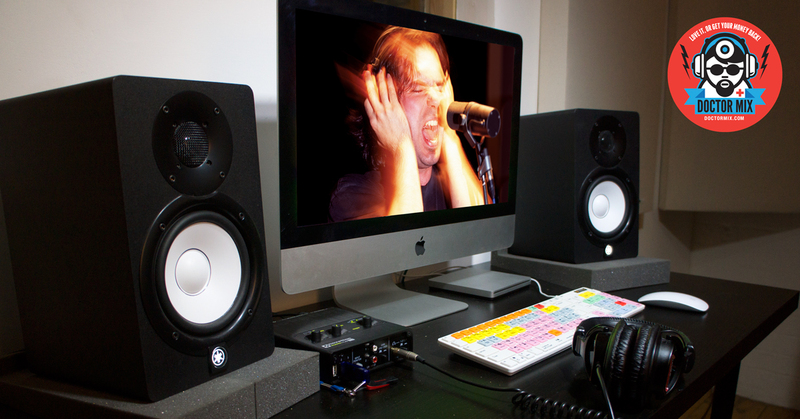 Mixing rock vocals is inevitably linked to the tradition of rock music in general. Rock music commonly has a thick wall of guitars which the vocals must cut through, and yet still be intelligible with very aggressive mixes. Having said that, there is a general trend for rock vocals to be mixed somewhat quieter than pop vocals, due to the increased importance of the other instruments. Usually the groove is principally being driven by the combination of guitars and drums. There are always exceptions, but the common trend is to have the vocals to be very dense and very powerful, in order to cope with the power of the other tracks in the arrangement. 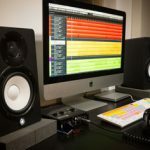 Double tracking vocals can be a great way to add more power to the vocals, which can be especially useful in the chorus. If you do not have a recorded double to work with, vocal doublers such as Waves Doubler can create a simulated double. 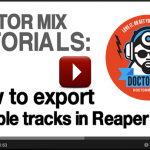 An alternative to this is to duplicate the track and then to delay one of them. This is especially useful for backing vocals, which when also panned wide, make space for the lead vocal in the centre. Most of the time rock vocals don’t need much low end, the most important part is the tone especially in the mids and high mids. This means you can be more severe with your filtering, easily high passing from 150Hz, especially with the higher screamed types of vocals. Pop and other genres may use a lot more low end, but with rock… usually not so much. Often you will find that the vocals and the guitars are fighting for space due to the fact that they cover very similar frequency ranges. One of the solutions is to side-chain the vocals to a compressor (or multi-band compressor) on the guitars, so that the guitars are slightly reduced in volume (or amount of mid frequencies) when the vocals come in. It is of course worth remembering to keep the guitars out of the way of the vocals by panning them wide and allowing the vocals to sit centrally. Generally speaking rock vocals like a bit of saturation and in some cases distortion. Famously the vocals of the first album of the White Stripes were mixed through a Universal Audio LA-2A Teletronix driven extremely hot to obtain distortion. This bestowed the beautiful texture that we all know from that record. Great compressors to use are the UREI 1176, LA-2A, and the Empirical Labs Distressor; you can drive these compressors quite hot and obtain good results. 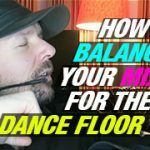 If you feel that compression is somewhat compromising the dynamic movement of the vocals you might choose to use compression in parallel instead. In the plugin world you can happily use whatever 1176 or LA-2A emulation – Waves and Slate Digital provide some great options, but even Bomb Factory from Pro Tools can be pretty effective. It is desirable to build the width of the vocals as you progress from the intro to the verse into the chorus. A typical effect for rock music is the slap delay, a short delay that you can use just underneath the lead vocals, as heard on classic albums by Elvis Presley, The Beatles, Led Zeppelin, to name a few. This helps to add a bit more depth to the vocals, without taking up too much space. 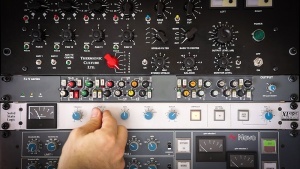 During the chorus, if the track allows, you might think of using a longer (possibly ping pong) delay. This longer and wider reverb provides a sense of space and underlines the fact that the music is opening up during the chorus. You may also think of applying reverb to that delay. And remember to personalise your delays and effects: apply filters, add distortion, equalise them, phase and spread them… be creative. This not only adds a nice character, but by differentiating the sound from that of the lead vocals, it will better complement them. You might consider applying modulation to that delay to create a more psychedelic effect.  In terms of reverb, vocals respond well to some room or plate reverb. An often overlooked control on a lot of reverbs is the pre-delay setting. This adds a small delay before the reverb comes in, which separates it a bit from the actual vocal line. This can help maintain the intelligibility of the words. Again, filtering, using EQ, in other words personalising your reverbs can help you impart a unique sound to your vocals. 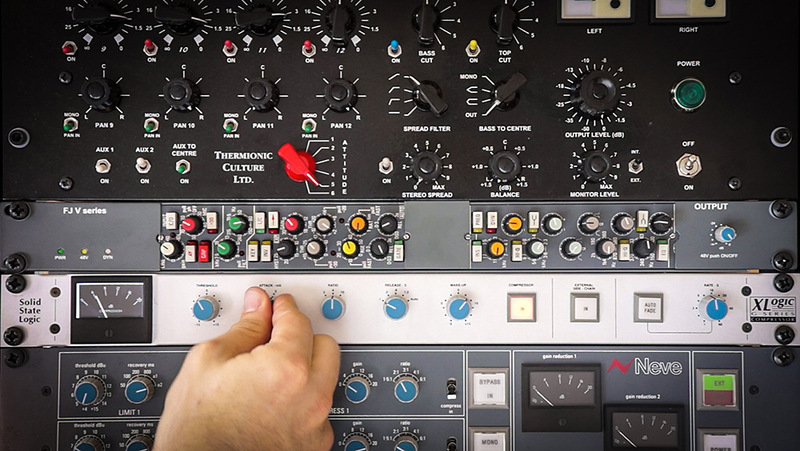 If you are aiming for a classic rock sound, the use of tape or tape emulation on the mixbus can really help give you that timeless flavour that you have come to love from the great rock bands. When you consider that vocals on all rock music made up until the late 90’s were recorded on tape, it is easy to see the equation: classic rock = tape. Adding some of that flavour to your mix bus can really help cementing those vocals in the mix. 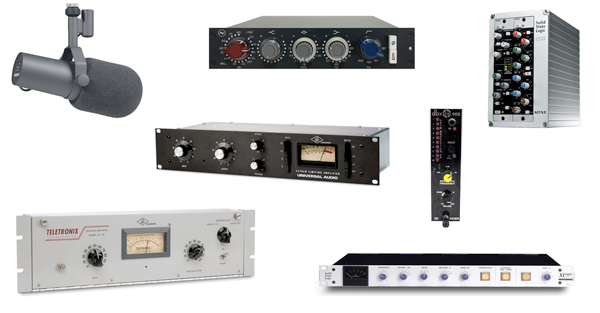 The SSL Bus Compressor has also featured on most rock records we know, and as such can also help push your sound in the right direction. Finally, as usual, try to make musical choices when mixing vocals. With rock music the vocals are as important as everything else. There is a lot to learn from the great records of such bands as Led Zeppelin or Nirvana. Feel free to break the rules, but first learn what the established sounds and rules are. 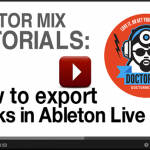 If you’re still struggling to make your music to sound great you can have the Doctor Mix team to mix it professionally for you. Please feel free to contact us here or send us your music via Wetransfer to info at doctor mix dot com and we’ll give you our feedback.